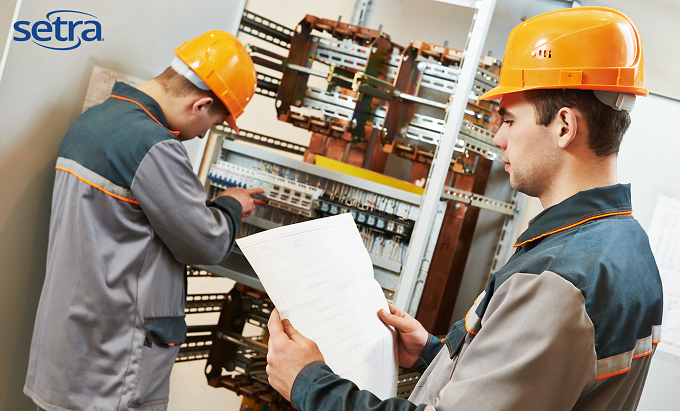 What do electrical contractors look for in a power meter? User-side energy submetering is becoming increasingly popular in new commercial construction and renovation projects alike. The latest advanced LEED certification requires operator-owned submeters to be installed in high consumption areas and facilitate continuous tracking of total consumption for an entire structure. Electrical contractors are seeing the installation of this type of meter a lot more frequently. The demand for multi-circuit meters continues to grow and there are many different products on the market to choose from. Certain kinds of meters are not only more installer friendly, but also provide added value to building operators by reducing installation times and costs. Nearly all commercial grade power meters operate on a Building Automation System (BAS), whether it’s through BACnet IP, BACnet MS/TP, Modbus TCP, Modbus RTU, or some other communications protocol. Some meters require that the installer know ahead of time which protocol is being used, but others are natively compatible on several protocols at once. This allows for quick and easy purchasing without having to know the correct protocol ahead of time or having to purchase several different kinds of meters just in case. Setting up a power meter can be a time-consuming, inconvenient, and often dangerous task. As many installers are already aware, standard practice involves suiting up in an arc-flash suit, entering a live enclosure, and manipulating buttons on the meter itself -- a feat not particularly easy while wearing heavy rubber gloves. Alternatively, some new meters give the option of configuration with a laptop computer via Ethernet or USB. This gives installers a much more user-friendly and comprehensive tool to configure a meter without the risk of an arc-flash or needing to navigate through a cumbersome interface. Furthermore, meters that are UL61010 rated are able to be installed within existing enclosures; eliminating the need to installed an additional separate UL508 enclosure with its own cable and conduit runs. Current transformers (CT) come in all shapes and sizes. Most meters require that an installer know which size and specification is needed ahead of time; meters like this are made to order and only work with the specified CT. If a different CT is needed for the project, the entire metering system must be replaced and configured to be used with the correct type of CT.
Power meters that allow for interchangeable CTs offer a significant advantage, allowing installers to swap out CTs if needed. If an installer wants to remove a conventional CT and replace it with a Rogowski coil that can be wrapped around a busbar, they can do so in a convenient and cost-effective manner. Do you know what total harmonic distortion is? CLICK HERE to learn how THD can affect your power bill and your company’s equipment.